So far my experience with Hubpages has been good. I'm not making big leaps in revenue, but then again, I never I thought I would. I am however slowly making some money and I have to admit I was rather surprised and happy when I earned my first penny. LOL. Was like I won $100 dollars or something. I am enjoying learning all about SEO, no-follows, back links. and feel there is still so much more to read and learn still. The one thing I'm playing around with a lot more now is where to place amazon adds and links in comparison to my writing. I feel I'm never really happy with the layout and need more room. Maybe it's not me, but rather the level of control on page setup. Either way still fun stuff. I've never been good at writing. That is also why I started writing articles, or blogging. I get to share my knowledge, better learn SEO, back linking for my website, and I get better with each article I write. 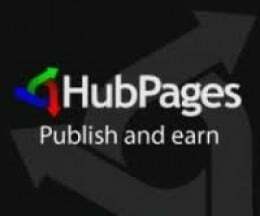 Start Writing For Hubpages and Earn! Do you fellow bloggers find that you are thinking of things to write all the time? I mean I'm at work or home and all of a sudden I see something, and I'm like "I can write about that". I also feel like I'm reading Hubpages that I honestly thought I would never care about, yet I find myself reading them. Well maybe it's just because I'm still kinda new and soon the blogging adrenalin will wear off and I'll end up only writing like every month or two.We'll see I guess. Hope the new people are enjoying it as much as me. As for the older bloggers or Hubbers out there. Any tips, comments, or critiquing is always appreciated. I can not reiterate how important this is. After almost 4 months later from when I joined Hubpages I really started taking SEO more seriously. Don't waste the time like I did. Read, research, take notes, make book marks, and read some more. I'm still learning and perfecting my blogs and hubs all the time. I have definitely seen a increase in traffic with the more I learn and the more I apply to my writing there is usually a coloration to my traffic. This of course increases revenue. So if you want to make more money with your Hubs, get more friendly with SEO.